A book about Life and Death of Jack the Cat. His conversations and friendships on Fenley Avenue. 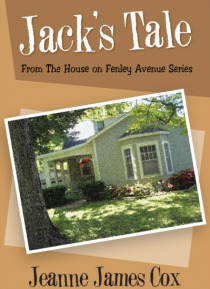 A true story that any human relates to who has raised, loved and lost a fellow animal traveler in this life.The House on Fenley Avenue is a huge two story 1920's home. With maple and pine trees, lots of squirrels, bees and flowers it's where Jack and Jazzmin, Cheddar and Muenster live. These are the … pets who live, laugh and will entertain you. Jack will steal your heart, Muenster is a beautiful collie who adores his buddy Jack. Cheddar is the First Cat and queen of the house. Jazzmin and her Pet Nanny arrive on Fenley Avenue when Jack' s 'people' move to England.It's a great way to read to children, with all the necessary illustrations to help make the words come alive. Laugh, enjoy their conversations and then perhaps you'll reflect on the pets you have and you children will have. This story is also about the day we lose our precious pets. It's a book that can help kids cope and know what a great life their pet had. Just like Jack did!